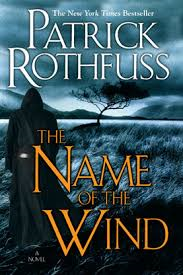 Reading and reviewing a very popular novel like The Name of the Wind has made me examine why do I read fiction? Is it to escape the humdrum and monotony of my everyday life? Is it to learn about someone who is different from my background and can cause me to become more empathetic? Or is it to relate or identify with the protagonist or other characters in the novel? I will acknowledge that some of the aforementioned factors could be reasons people read fiction. However, I believe that I read fiction to feed my imagination and stretch what is possible in human creativity and ingenuity. The Name of the Wind has brought that last sentence home for me. A protagonist like Kvothe, comes across as larger than life, when he reveals his life to a chronicler that arrives at his inn to get the legend’s full story. Kvothe tells his story of loss, love, hardship, peril, and heroism in a convincing fashion and had me riveted while reading the novel. I know a lot of readers don’t like their characters larger than life or too fantastical in a novel. But, I’m realizing that fiction needs to have characters like Kvothe pushing the boundaries of what readers should expect when reading a novel. The fantasy genre, especially epic fantasy, has these larger than life characters more than any other genre in publishing. And a lot of novels in the genre can go too far and make those characters too unbelievable for readers to suspend their disbelief. However, there are a few novels that you will suspend your disbelief for and The Name of The Wind jumps onto that stage for me alongside novels like Winter’s Tale by Mark Helprin, Home is the Sailor by Jorge Amado, and The Wooden Sea by Jonathan Carroll. As you can tell, I truly enjoyed reading The Name of the Wind, Book 1 of the Kingkiller Chronicles and it will be one of my favorite reads of 2017. 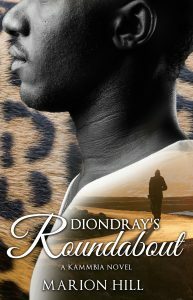 This novel has lived up to the hype and I’m looking forward to reading Wise Man’s Fear, Book 2 of the series soon.